Chameleone has responded to Bebe Cool's list with his own songs, I will never justify my ability by downplaying others, that’s for hyenas. Bebe Cool's list has continued to ruffle feathers among the top artists. You all recall that hot list that has now become the talk of the nation, it missed some big names and since they know they are big, they could not just let it pass. 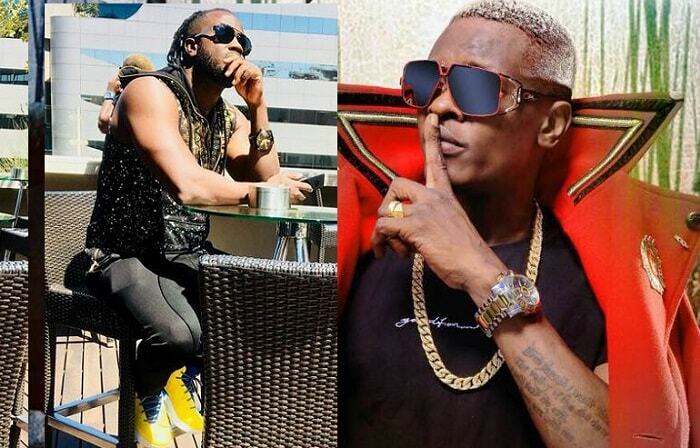 Eddy Kenzo has already responded and now, the Champion singer, Jose Chameleone is on Bebe Cool's case. "Actions speak louder than words. Action is the fine witness of your ability. Words even a baby can say." He then went on to tell his fans in the UK how he will be with them this May not to shoot a video like Bebe Cool is doing in South Africa, not to take pics at the London bridge just like Bebe Cool was seen taking at the Nelson Mandela Square. Chameleone will be performing live at The Royal Regency Hall Manor Park on May 26, 2018. This particular invite was triggered by the long list of songs Chameleone shared on his wall while responding to the now popular Bebe Cool's hot list. "Never depend on other people to define your glory, Embrace what God gave you as an individual and celebrate his glory. There is always one looking up another and that’s the way it will always be. I will never justify my ability by downplaying others, that’s for hyenas. Almighty gave me enough talent to justify that as a Lion!! !I am blessed so are you. Kati ivugeeeeeee mutala ku mutala"
He then shared his list, which included 116 songs that he could recall, but also asked the fans to help him add if he had left out any.